J Hagger Commercial Window Cleaning use the latest equipment and techniques for window cleaning. Using the latest “purified water pole system” our fully trained uniformed staff are able to clean the majority of windows from ground level, viagra order ensuring the highest level of “Health and Safety”. If the windows are too high or access is restricted we have access to and are fully trained to safely use cherry pickers and scissor lifts. J Hagger Commercial Window Cleaning guarantees to find a cost effective solution to any window cleaning task. We are proud of being able to offer a complete service to assist the Facilities and Property Management industry. Please call us to arrange for a free quotation and site survey. 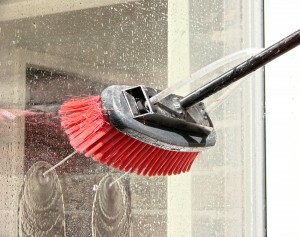 We can offer one off window cleaning services or a tailor made program to suit your budget requirements of the property. Our team will work to suit your business hours so as to minimise any affect on your trade. A fully insured window cleaning service for a fantastic finish, pilule experienced and friendly staff who can also offer a range of other cleaning services to suit your needs. Call us today on 07787 368 684 or use our contact form and we can arrange a personalised quotation.